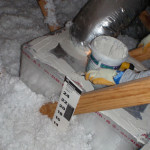 K•AC ExpressAir ConditioningWhat Can an HVAC Company Do for My Home? What Can an HVAC Company Do for My Home? With summer fast approaching, many are starting to turn on their air conditioning units. It might be time to schedule a visit with an HVAC company to perform maintenance on your unit before firing it up. You may be skeptical when it comes to calling a professional, but a reliable HVAC company has a lot offer. 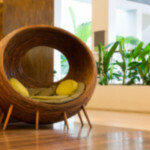 Here are some things an HVAC company can do for your home. Yearly maintenance checkups are essential for properly maintaining your AC units. An AC repair technician in Spring Texas will check your air filter, ensure all parts are working correctly, and monitor air flow and cooling of the home. Having a yearly maintenance check could also avoid paying for costly AC repairs later on. Ensuring parts, such as the fun and evaporator coils, are working properly is essential for proper function this summer. If you have an older unit, it could be time to consider upgrading. Energy efficient units are a great way to save money on your energy bills. 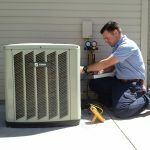 Many HVAC companies will also offer you a stipend for your old unit or promotional deals when you buy a new unit, as well as install your new, energy efficient unit. Not only can you save money on your monthly bills, but you may also be eligible for rebates or other incentives. Contact a local HVAC company for air conditioning repairs or to upgrade to an energy efficient unit. No one should have to summer through the intense summer heat because of a broken air conditioner. If at any time during the summer your AC unit stops working, call an air conditioning repair technician in Spring Texas. 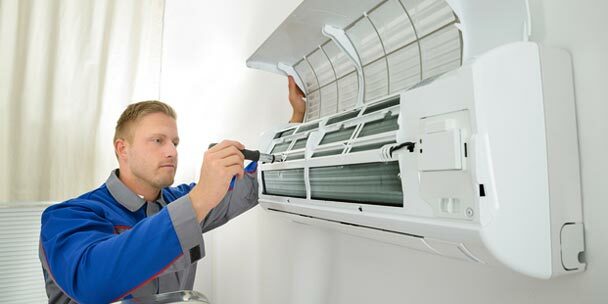 Expert technicians at KAC Express will repair or replace any broken part as soon as possible to make your home cool and comfortable once again.